Energy Suspension Hyper-Glide creeper wheels provide your creeper with smooth, unimpeded rolling for indoor & outdoor ease of movement. 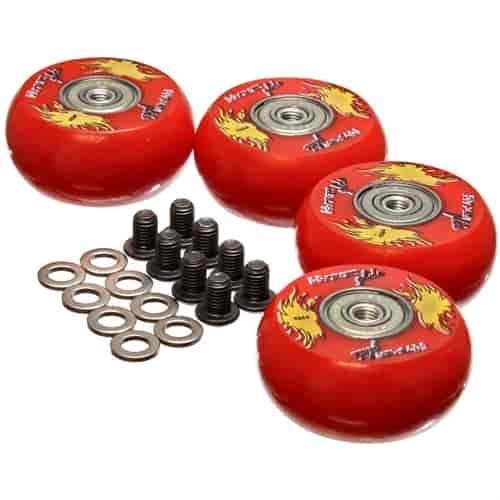 These wheels feature polyurethane construction with smooth, high precision bearings. The unique polyurethane material and design allows little to no rolling resistance.